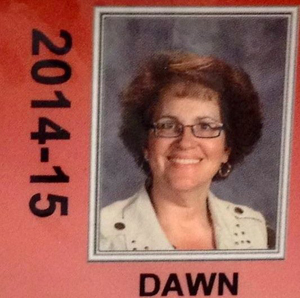 Elyria 5th-grade teacher Dawn Neely Randall finally spoke out over fears of reprisal against the 20 hours of tests designed for Ohio public school students. Well, I did it. I addressed our school board. I had packets for each member as well as our superintendent and walked them through sample PARCC passages that had no clear articulation through the grades and shared with them information straight from the website that proved that the maturity matrix of many passages were well beyond the students’ grade levels. Randall encouraged the school board to stand up to Columbus and for Elyria students. The Lorain County Chronicle featured her story here. At the end of my talk (a couple emotional moments, I must admit), I asked them for a favor. I told them I didn’t know what to do. I said that I needed my job and have a son in college, but I am strongly against my students taking so many tests that they could get on a school bus and ride from Ohio to Florida in the same amount of time they’re testing. I said that I had brought a copy of each of the 4th through 11th grade practice tests and asked the school board members to meet during the next week to look through them and see if they feel that are developmentally appropriate for the children on their watch. If so, I asked if they would come and take my place and administer the tests to my students because I feel they are morally wrong and just don’t know how I can do it. I can’t believe I said this, but in the passion of the moment, I said I would rather stand in an unemployment line than harm the children in my care. (I had one of those, “Did I really say that out loud?!! !” moments.) If you’d like to add your comments to the Chronicle-Telegram’s FB page, we could sure use your support and solidarity in Elyria Schools. Please and thank you! It’s not a big secret that Republicans in Ohio want to privatize the public schools. When I hear about the amount of testing and test preparation required and that the maturity level of some tests is well beyond the students’ grade level, I can’t help but wonder if this is by design, to demonstrate that public schools are not working. By standing up, you make it easier for everyone else. Cross posted at Daily Kos. 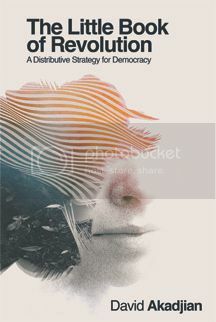 A Distributive Strategy for Democracy.